Mississippi is the first state after lass Vegas that offered casino games to the people but they have faced many problems in 2000. Mississippi is facing intense competition in casino gaming because of three other states that share boundaries with Mississippi are offering online poker legally. These states have taken interest in casinos and that have made huge impact on Mississippi state revenue. Various natural disasters such as major floods, hurricane and many other disasters have also reduced number of people that use to walk into the 10 famous casinos of this state. Revenue has fallen more than 25% ($2.15 billion) from 2007, but still there are many state legislators are keeping things as exactly they were in the beginning. Lawmakers also enjoyed 2013 with surplus budget of $300 million and it seems to be loss in gambling revenue is not a problem. If you compare deficit of $4 billion in New Jersey and yet they legalized online poker and other online gaming then there are huge chances for people of Mississippi to enjoy casino games on their computers. Mississippi had its chances in 2012 and 2013 to legalized online poker because bill was presented to the law makers but they didn’t make it legal. Rep. Bobby Moak is the person that is trying really hard to introduce pro internet gambling law with real optimism. Many of the elected persons are conservative and religious as that is causing huge problems in the way of legalized online poker. 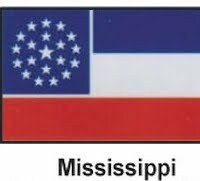 Mississippi is not that too behind the leading online poker game states but it will take some more time to complete the process. This statement was made by Moak to the Mississippi Business News. There are great potential to earn huge revenue from the online poker and that is why he is trying very strongly to make online poker legal. Even though this is also well known by the elected people that conservative but still they are not helping at all to make online poker legal. As per Moak, he is planning to reintroduce online poker bill again in 2014 so people can enjoy online poker in further future. People that are in favor of online poker should be feeling high because Caesars Entertainment that owns WSOP.com are owners of live casinos in Mississippi. Many experts believe that Caesars will play very important role in making online poker legal. When Will I Get to Play Online Poker in Mississippi? If all the things are going as per plan, then people of Mississippi will enjoy the luxury online poker this year, without any delays. Moak has made his intentions very clear that he is going to give his all for making online poker legal in the state. It is great opportunity for the state authorities of Mississippi as they can enjoy great revenues with the help of online poker. What’s Mississippi’s Potential Online Poker Market? There are great opportunities for online poker as there are more than 200,000 potential online poker players that will enjoy this great service. It is equal to the number of people that are enjoying online poker legally in Albania.